ActionAid UK’s research has found that when women report violence to the police, they sometimes find it ‘traumatic’, feel they aren’t listened to – and often don’t get justice. In a world where 1 in 3 women will experience violence, it is crucial we tackle this crisis head on. In the wake of Cyclone Idai, ActionAid Malawi’s Chikondi Chabvuta discusses the devastating impact of the disaster, the situation on the ground now, and the ongoing role climate change is playing in Malawian society. 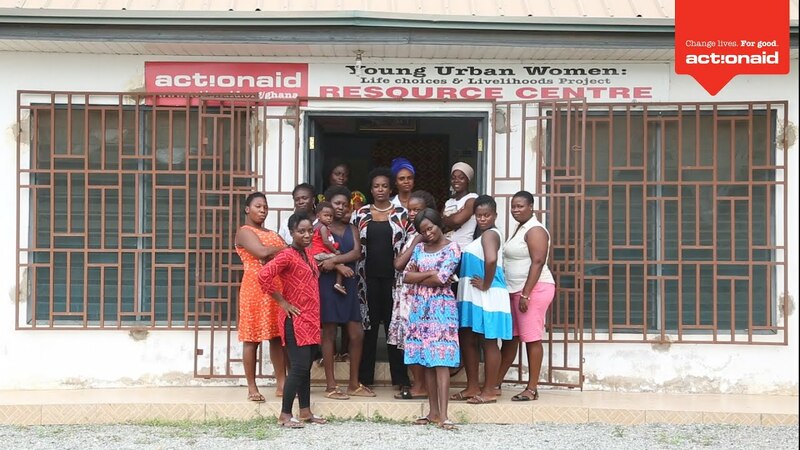 Actor Wunmi Mosaku discusses the real heroes she met on a trip with ActionAid to one of Ghana’s poorest regions. She is joining forces with ActionAid's campaign to put power back in the hands of survivors around the world. This Mother's Day, let's celebrate all the inspirational and courageous mums, who are fighting for a better and more equal world for their children. Meet some of these incredible mums and their daughters. Cyclone Idai has swept across southern Africa, killing hundreds of people and leaving thousands homeless. Find out key facts about the disaster, including what a cyclone is and where the destruction has taken place. Cyclone Idai has caused devastation across southern Africa, including Mozambique, Zimbabwe and Malawi, with widespread destruction and loss of life. See the latest updates about this disaster as it unfolds.